Professional PC based scanner with advanced functions for VW, Audi, Seat, Skoda diagnostic. USB connection. One of the best, with functions near dealer level. Automatic update function. Also supported engine diagnosis for other vehicles (OBD and CAN protocols). Original made. Made in USA. Professional PC based scanner with advanced functions for GM OPEL and SAAB. One of the best, with functions near dealer level. Automatic update function. Languages - English, Russian or German. Official, original, with support. 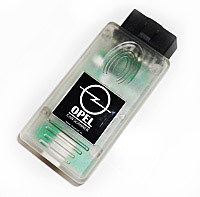 Optional software for OPEL Scanner CAN. Allow read pin-codes pin of immobilizers, change mileage and reset ECU in the engine ECU and other special functions for Opel. Languages - English, Russian or German. Official, original. Newest generation professional PC based scanner with advanced functions for VW, Audi, Seat, Skoda diagnostic. USB connection. One of the best, with functions near dealer level. Automatic update function. Also supported engine diagnosis for other vehicles (OBD and CAN protocols). Original made. Made in USA. Newest generation professional scanner with advanced functions for VW, Audi, Seat, Skoda diagnostic. USB or Wi-Fi wireless conection. 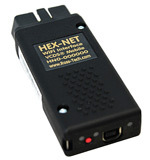 Based on PC or any mobile device with Wi-Fi and integrated Internet explorer. One of the best, with functions near dealer level. Automatic update function. Also supported engine diagnosis for other vehicles (OBD and CAN protocols). Original made. Made in USA.